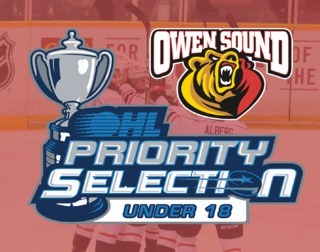 The Owen Sound Attack will begin their quest for a 9th consecutive playoff berth on Thursday, Sept. 20 in Barrie against the Colts. 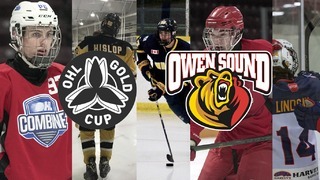 But despite opening on the road, Owen Sound will play the majority of their 68 game regular season schedule on Saturday nights at the Bayshore this year, with their 34 home game calendar punctuated by 21 Saturday evening affairs. 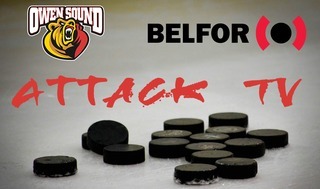 Beginning with the Home Opener on Saturday, Sept. 22 against Sudbury, the Attack will take to the Bayshore on 12 consecutive Saturdays to start the season with most of the squad’s road trips slated for later in the year. 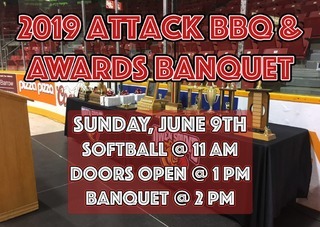 As always, the Attack will play a total of 28 games against Midwest Division rivals, squaring off against Guelph and Kitchener eight times each, while taking on London and Erie six times apiece. This season’s Midwest Division schedule kicks off in Guelph on Sept. 21, with the first visit from a division rival coming courtesy a trip to the Bayshore by the London Knights on Oct. 5. A full breakdown of the Attack’s Midwest Division schedule can be found below, along with a month by month breakdown of the schedule.